Thanksgiving is one of the least commercial holidays. The day focuses on family and gratitude. 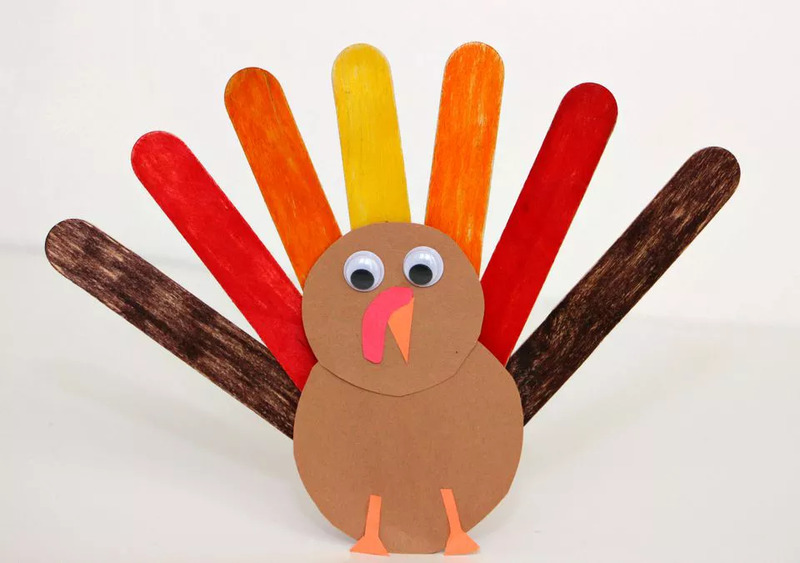 Teach your preschoolers the meaning of this particular day when working on the following Thanksgiving crafts. 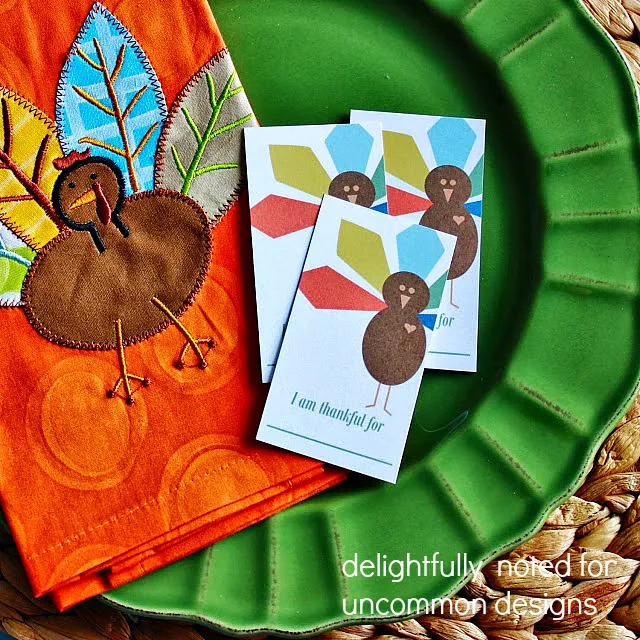 These "oh so pretty" Thanksgiving card printables are very easy to make. Just print and cut out the beautiful free templates provided by Uncommon Designs. Have your children pass out a card to each of your Thanksgiving guests (with a pen or pencil).Each guest should then fill out the card with an answer. At dinner have each person talk about what they wrote on their cards. The answers will be fun and sometimes surprising! 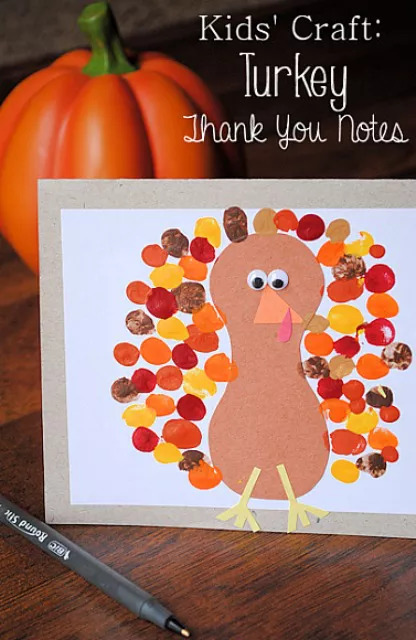 Although these printables are not technically a Thanksgiving craft for preschoolers, the kids can still help mom print, cut and distribute the cards. It is never too early to teach children that concept of gratitude. 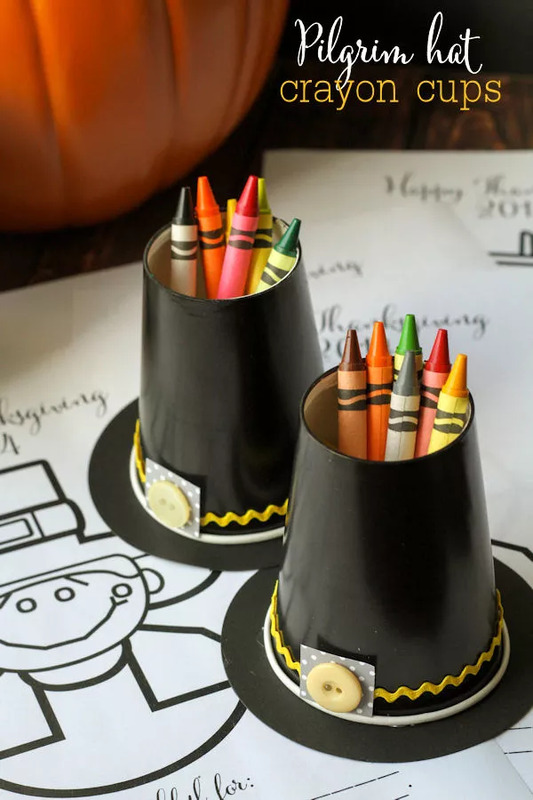 These paper cup pilgrim hats are crayon containers and would make such cute decorations for the kid's table at your Thanksgiving dinner. They look festive and can be put together quickly! The pilgrim hats add a fun touch to the holiday and help keep the little ones occupied while the grownups cook the family meal. You might even want to make one hat per child and have them take the containers home as a favor. Have your children make these festive tealight candle holders! 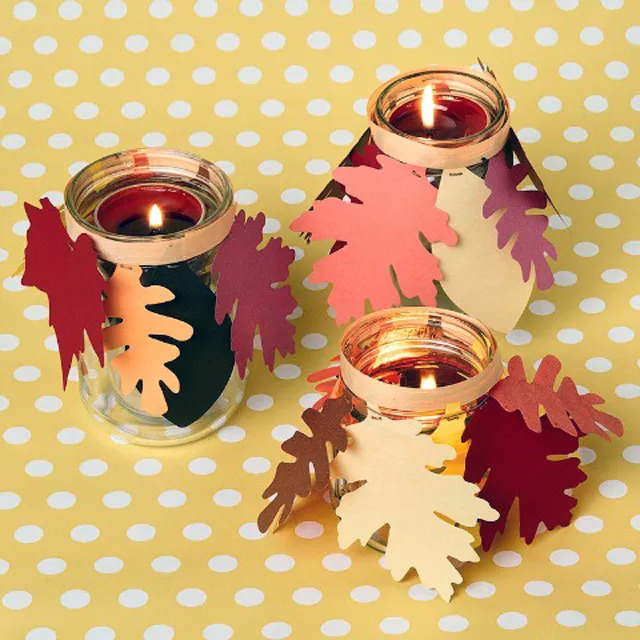 Just glue some paper leaves onto a paper band around the neck of a candle holder. Light the candle and voila! 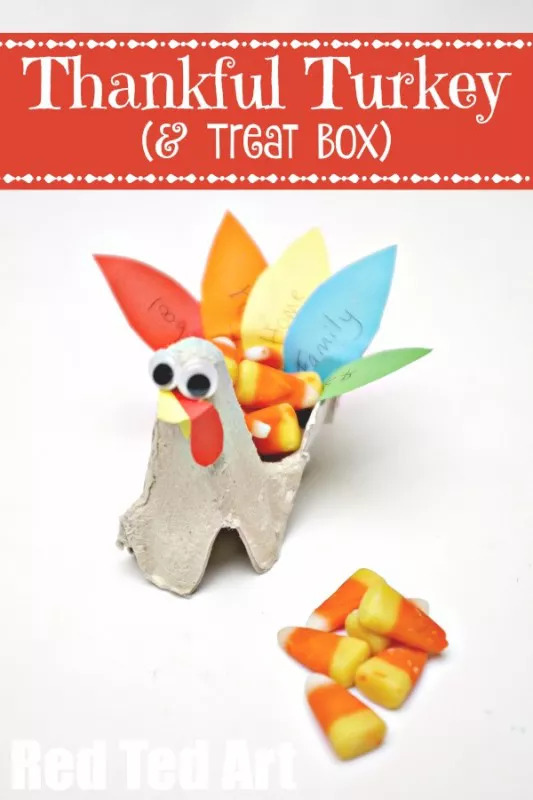 Beautiful Thanksgiving crafts for preschoolers that magically transform into a dinner candle. Impressive table decor your kids will be proud to have made! 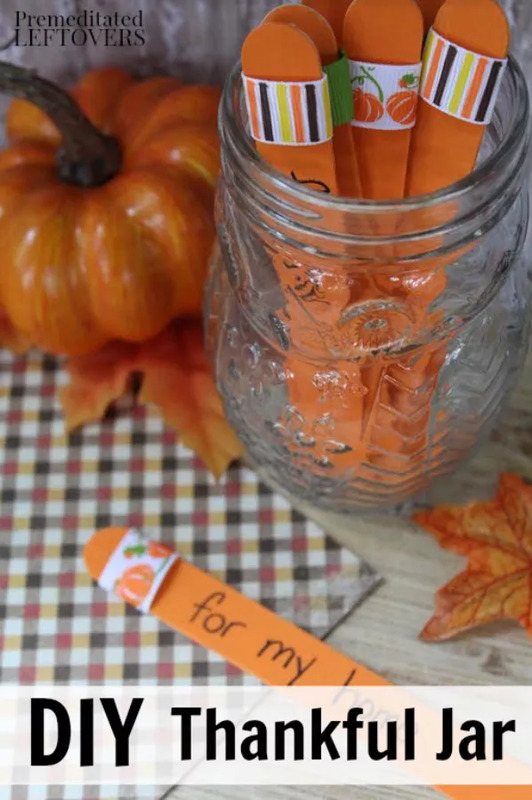 This printable craft is perfect for all that candy corn you have left over from Halloween. It seems to be one of the most disliked candies of all the Halloween options.You may love candy corn, or you may hate it, but it works well with this fun Thanksgiving craft perfect for preschoolers. 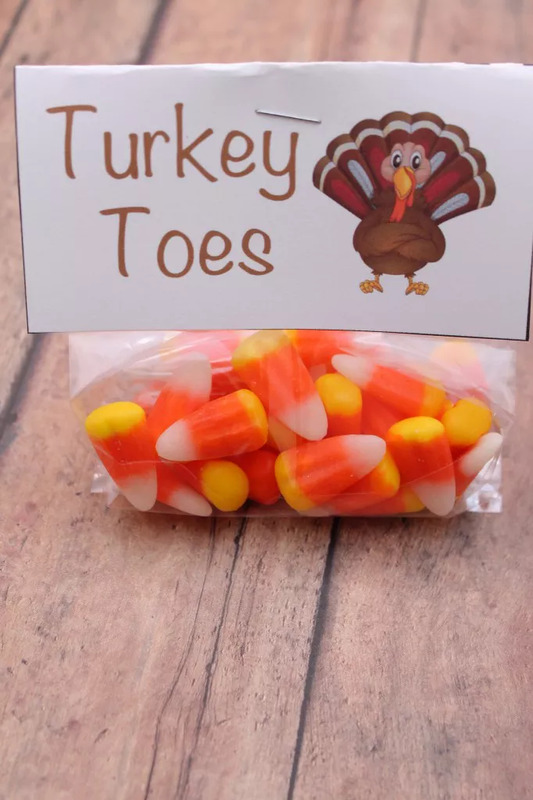 Give your kids a laugh and bag up some turkey toes for some holiday fun. 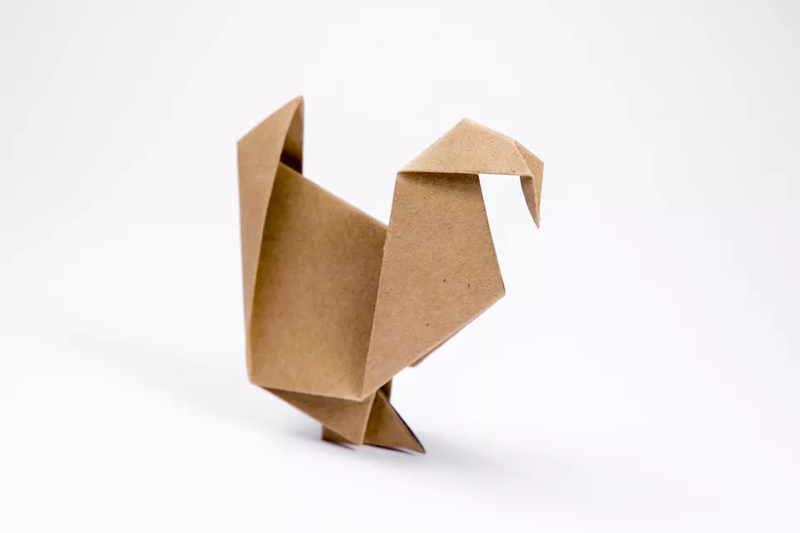 You and your children can practice your origami skills with these fun and easy turkeys! All you need is some sturdy paper and an afternoon free for crafting. 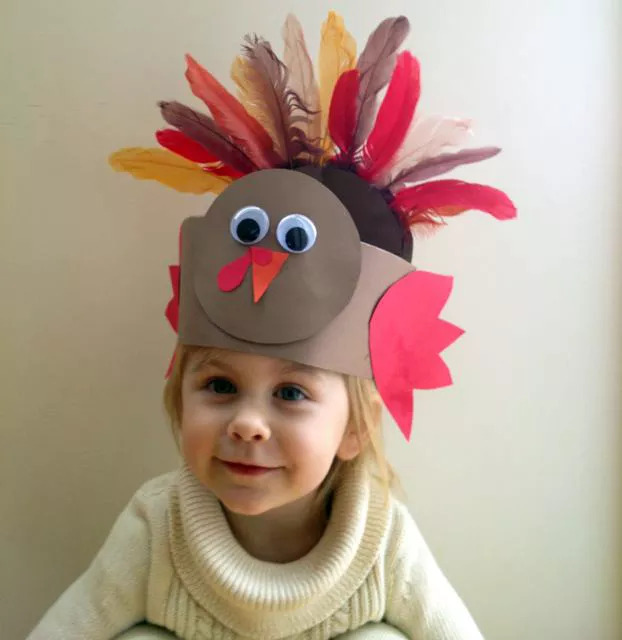 Use your paper turkeys to decorate your table on Thanksgiving. 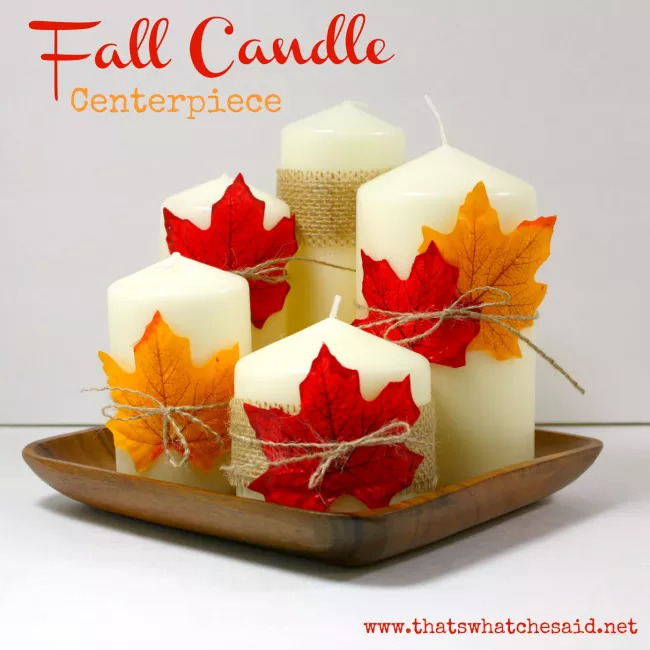 This fall candle centerpiece will add some elegance to your table, but it is a Thanksgiving simple enough for preschoolers to make. Wrap a burlap ribbon around a candle and glue on a silk or paper leafs. Finish it with some wrapped twine and you are done. Fast, simple and very pretty! 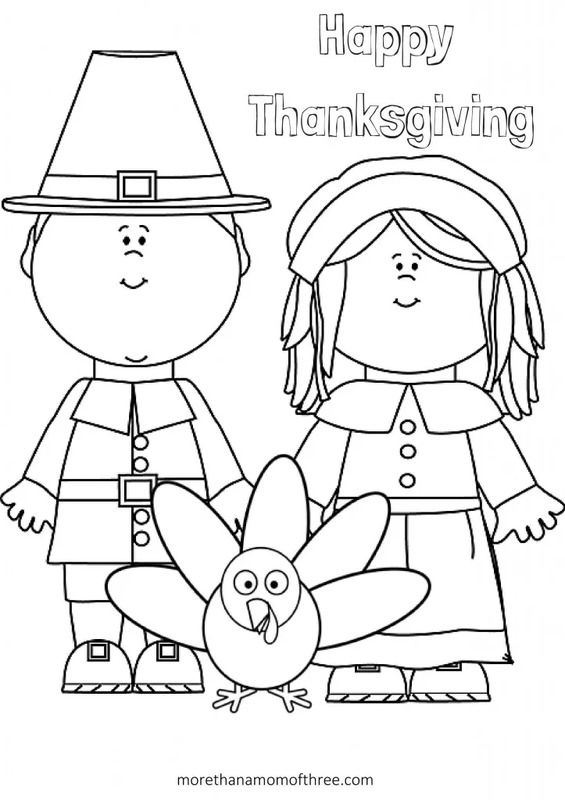 This darling Thanksgiving coloring page is free for download. Keep your kids busy while you are finishing cooking the holiday meal, and attending to last minute details. Why not have a coloring contest and award a prize to the best "artist" to add some fun to the day! 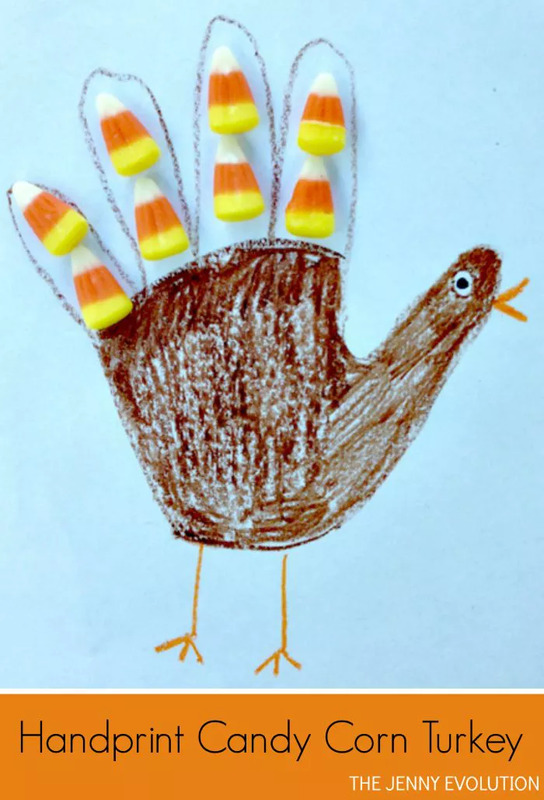 This candy corn turkey craft is a perfect Thanksgiving craft for preschoolers! Help little ones trace their hands onto a sheet of paper, then color and glue candy corn onto the drawing. Kids will have fun, and moms will have some beautiful refrigerator worthy artwork! This craft is a classic Thanksgiving favorite. This turkey paper craft tutorial is a little bit different from the other one featured in this roundup but is just as cute and fun to make. This hat highlights real feathers instead of paper ones. You really can't go wrong with either option! 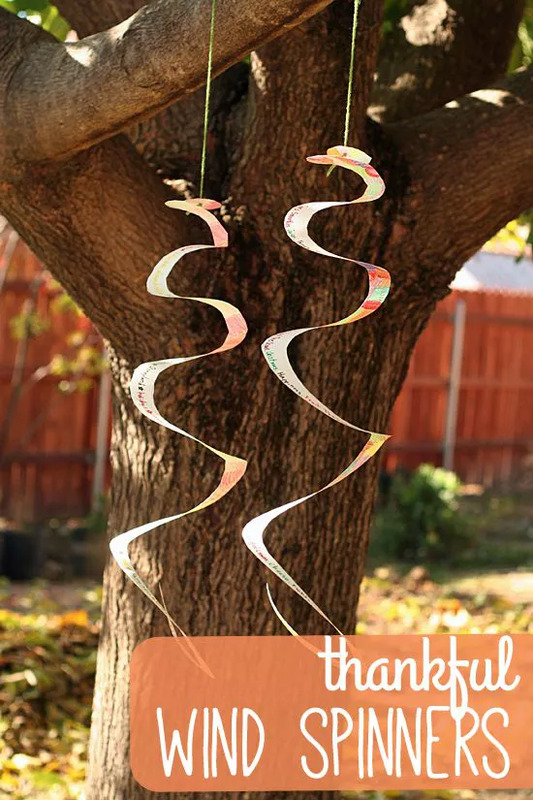 Throw these wind spinners into your crafts rotation for some fall fun. This project is also another excellent way for kids to express their thanks, this year. This cute turkey stands up all by itself! Your kids can craft this for a centerpiece at the kids' table (and the grown-ups table too). Take your traditional paper bag puppets to the next level with plenty of colorful feathers. 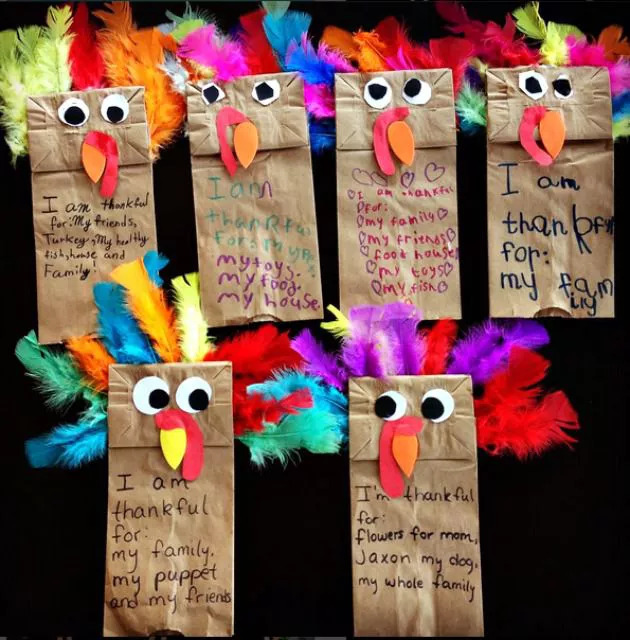 Ask your kids to brainstorm what they're most thankful for this year, and they can write it on the front of their puppet. Now all that's left to do is play with them! We love cootie catchers–they make us nostalgic for our childhood school days. 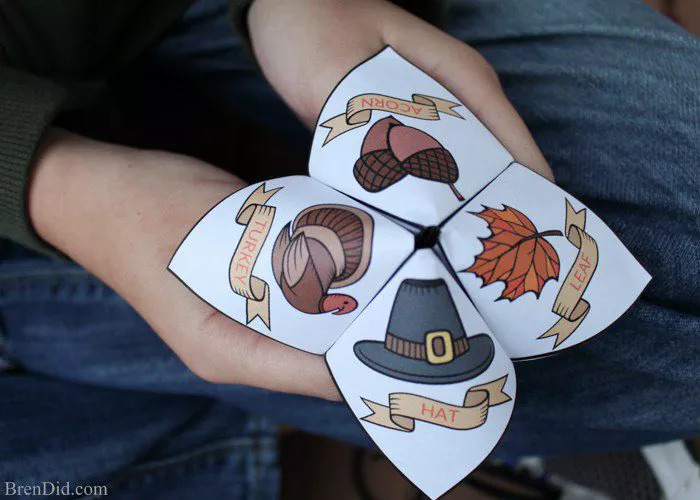 Now your kids can enjoy the same memories, with this Thanksgiving version that is very festive and fun. This simple paper craft doubles as an excellent gratitude exercise for your children. Join them as they jot down what they're most thankful for onto each feather of their turkey. Recycle your empty egg cartons into a fun craft. These adorable turkeys are the perfect containers for small treats, like candy corn or M&Ms. 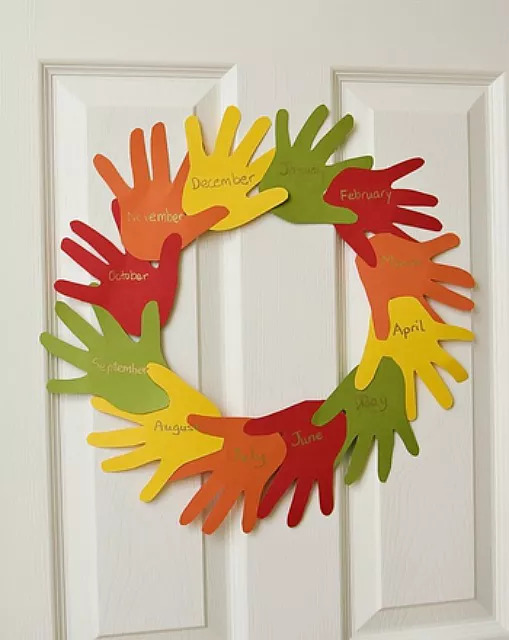 Your child can adorn their own bedroom door with a festive wreath this year when they make this "handy" craft. Let this be a learning activity too, as you help your child learn the months of the year. A fun and seasonally appropriate activity: your children can practice their penmanship and write notes to their friends and family. The children can let them know for what they're most thankful. We love this Thankful Jar idea because it's a great way to remind kids what they're grateful for on the gloomiest of days. Have them pull out one popsicle stick every time they need an encouraging word. These pumpkins are a great no-carve decorating idea. 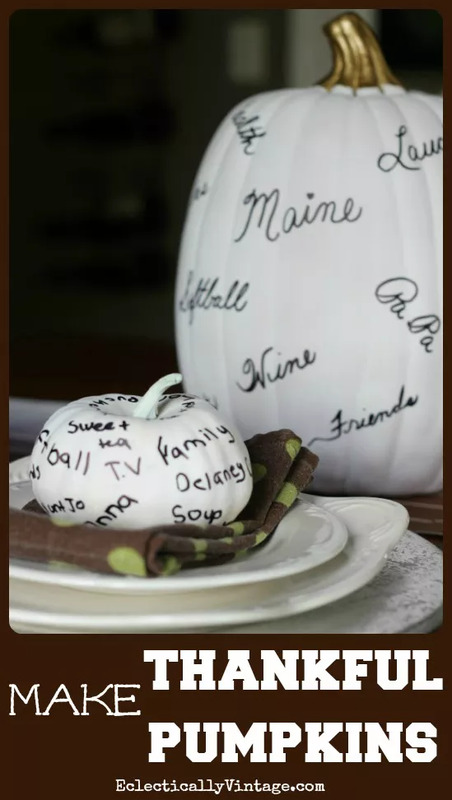 Paint them ahead of time and for Thanksgiving dinner, place them on the table, so everyone can take turns writing what they're most thankful for.